Search engine giant Google has introduced a new feature to its mobile search results, known as ‘Review from the Web’. The new feature shows user-generated content from third-party websites in mobile search results. Google will select the user reviews on TV shows, places, movies and more from up to three websites and show them in results directly. The company in a blog post wrote, “Today, we’re introducing Reviews from the web to local Knowledge Panels, to accompany our recently launched best-of lists and critic reviews features. 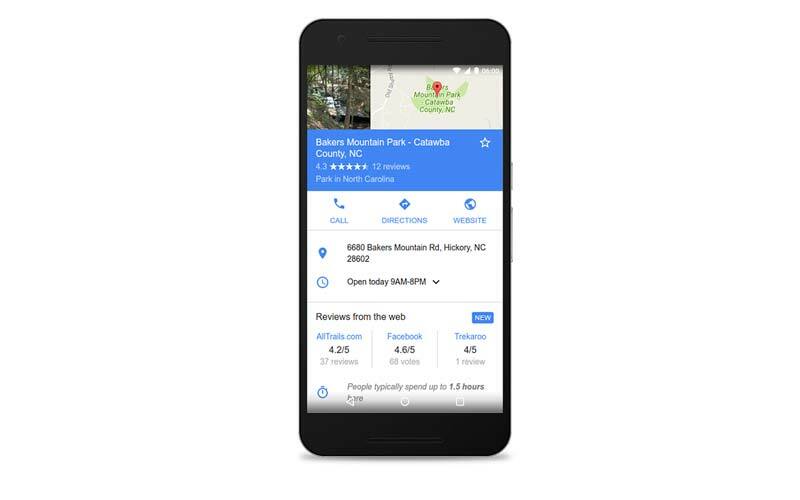 Whether your site publishes editorial critic reviews, best-of places lists, or aggregates user ratings, this content can be featured in local Knowledge Panels when users are looking for places to go”. The new feature will come as an update to the Google app. Google has also provided guidelines as to how site owners can include the user rating from their sites for the feature. The users, can access the new feature by going to the Google App on their Android device and find the ‘In Apps’ tab. The feature can work even when the user is not connected to Wi-Fi or cellular data. With the new feature, the users can also find contacts and messages from inside the apps, notes and more.